This banana bread recipe is one that I keep going back to, and playing with along the way. It’s simple to make, reliable and has great flavour. Looking for something a little different and borrowing an earlier idea of adding strawberries, I threw in 1/2 cup of frozen raspberries to the mixture and a few more for decoration and got a delicious outcome I thought was worth sharing. 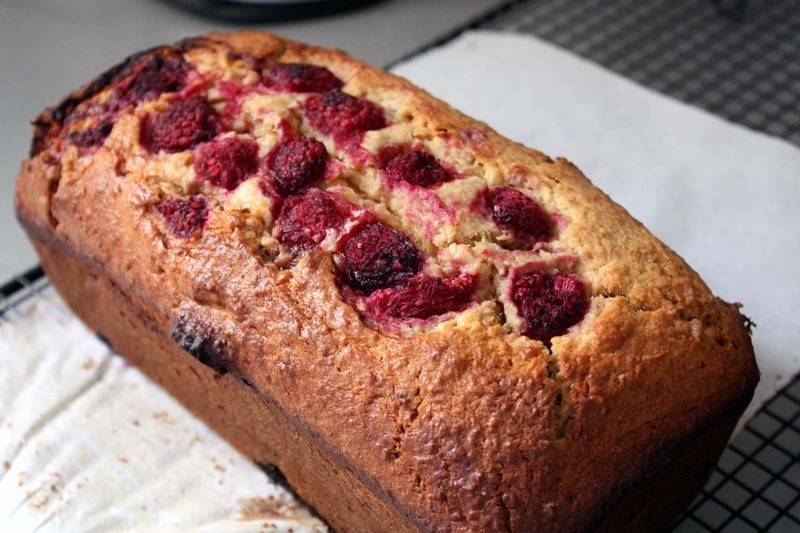 Frozen berries are a great way to add extra flavour and texture to your banana bread when you are wanting something different. The original recipe is one that I made very early on in my blogging days and can be found here: Banana and Coconut Bread. For the more evolved version which is what I use now, check out this post, Banana, Blueberry and Coconut Bread.